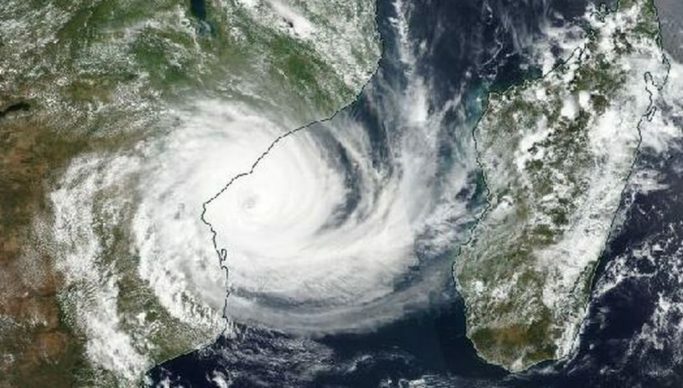 The Zambia Meteorological Department has rubbished the warning by the Disaster Management and Mitigation Unit (DMMU) that certain parts of the country are likely to be affected by the hard-hit tropical cyclone that hit Zimbabwe, Mozambique and Malawi. The DMMU on Saturday warned that the Southern African Development Community – Climate Services Centre had predicted that a tropical storm which has devastated Mozambique will migrate inland and make land fall over eastern Mozambique and likely to extend to Zambia. DMMU Public Relations Officer Rachael Chama, said the storm is likely to affect Luapula, Northern, Central, Southern, Muchinga and parts of Eastern provinces with Districts such as Lunga, Chilubi, Luwingu, Mporokoso, Kawambwa, parts of Mansa and Milenge likely to receive rainfall in excess of 10 mm from March 16. But lack of coordination between the two, met acting Director Emmanuel Sikana has told Zambia National Information Services that Zambia was not in danger zone from the cyclone and that the department was observing its movements. He added that with the cyclone retracting back to Mozambique, it was apparently pulling the westerly winds towards Zambia thereby, inducing more rainfall activities on the Copperbelt, Luapula, Northern, Muchinga and parts of Eastern and Central provinces. Sikana stressed that the department is however, still vigilant in case the cyclone regenerates. On Friday, a tropical storm known as the Cyclone Idai which brought water flood and destruction to areas of Mozambique and Malawi hit Zimbabwe cutting off power and communications and claimed about over 60 lives.